The Academy strives to ensure that the UK takes a leadership role in tackling global challenges and in enabling excellent people to move and collaborate across national boundaries. In delivering these aims we draw on the expertise of our Fellows working in the UK and overseas and on our partnerships, particularly with our sister Academies, across the world. We work with policymakers to ensure that the UK’s position on EU policy issues, such as the use of patient data in research, facilitates (and is informed by) medical research. An important part of this work is ensuring that UK research and innovation continues to lead the world, following the UK's referendum vote to leave the EU. 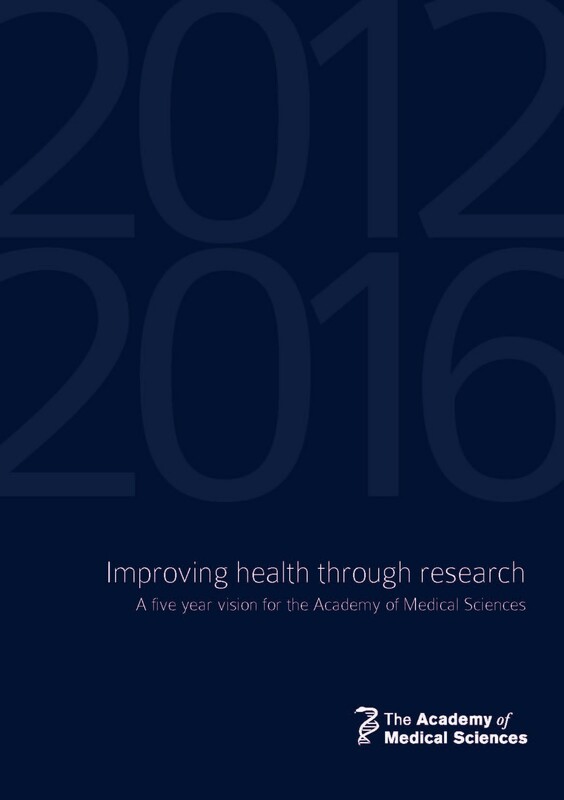 We support the Federation of European Academies of Medicine (FEAM) to ensure that it becomes an influential source of expertise and advice for European policymakers working in health, research and research regulation. We also working closely with FEAM to support the Scientific Advice Mechanism for Europe and the contribution of the Academy networks through SAPEA. We focus on health challenges that transcend national borders, but that particularly affect low and middle-income countries. We have recently conducted a project to explore multiple morbidities as a global health challenge, which involved developing a number of meetings with partner Academies around the world. Through our policy work, the prestigious Academy of Medical Sciences & The Lancet International Health Lecture, and our collaborations, we highlight issues that impact health globally. The 2018 Lecture was presented in October by Dr Irene Akua Agyepong, on 'Universal Health Coverage: Global policy agenda breakthrough or great white elephant'?. To effectively address global problems and opportunities we are strengthening our relationships with the InterAcademy Partnership for Health (IAP for Health) and with individual academies abroad such as the US National Academy of Medicine and the Academy of Sciences of South Africa. Working independently and in partnership, we seek to ensure that UK policy in areas such as immigration facilitates mobility and collaboration among medical scientists. We are delivering a series of global health policy workshops, supported by the UK's Global Challenges Research Fund. In 2018 these workshops were on 'Challenges and priorities for global mental health research in low- and middle-income countries', 'Science to transform maternal and newborn survival and stillbirths in sub-Saharan Africa in the SDG era' and 'Improving the development and deployment of rapid diagnostic tests in South East Asia'. We also offer a number of research opportunities that enable closer collaboration between UK researchers and those from overseas. Our Newton Advanced Fellowships, Newton International Fellowships and GCRF Networking Grants offer opportunities to researchers from overseas. These schemes are kindly supported by the UK Government's Newton Fund and Global Challenges Research Fund, which are part of the UK's official development assistance. Funders in our partner countries offer similar opportunities to UK researchers. Our Daniel Turnberg Travel Fellowship Scheme builds ongoing scientific collaborations between the UK and the Middle East. The Hamied Foundation UK-India AMR Visiting Professorships offer the chance for UK researcher to travel to India to set up collaborations to jointly tackle the challenge of AMR.